Nowadays when health and safety is paramount in the working environment it is important to insulate with the appropriate materials and above a suspended ceiling it is highly recommended to use an encapsulated insulation due to the ability for fibres or dust from non sealed insulation to drop into the working atmosphere causing potential health risks. Suspended Ceiling insulation pads are available from Insulation Warehouse , these encapsulated insulation pads are made to order to suit many applications. They can be made in any size to suit for example 600x600 ceiling tiles would require a 600x600 insulation pad 1200x600 and so on, also standard loft roll packs can be encapsulated to do loft areas with joist layouts with either 400mm or 600mm centres. This type of insulation is easy and a lot safer to handle than many other types of insulation. Encapsulated suspended ceiling pads can be made with different types of materials within the poly bag such as standard non itch fibreglass if you are looking for more of a Thermal ceiling insulation, alternatively if acoustic insulation is part of the requirement then we can have them made to encase materials such as acoustic partition roll or even further up the scale for better acoustic properties then we would recommend encapsulating Rockwool RWA45 acoustic insulation slab again all of the products can be made to suit suspended ceiling tile sizes. 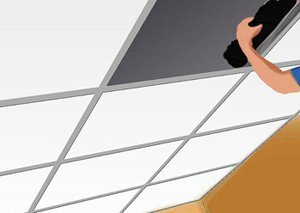 If you are interested to know how to install suspended ceiling insulation pads then we recommend starting at one end of the room and lifting and sliding back the 2nd row of tiles so you can place pads onto the first row then replacing the tiles back in place and working backwards in the same manor, then on the last row work in the opposite direction until you only have one tile left which you can place the insulation over and slide the tile back into place. 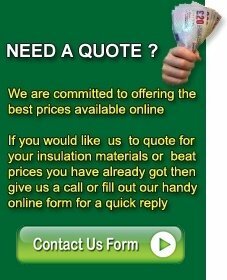 For prices on any encapsulated insulation please call our sales office.